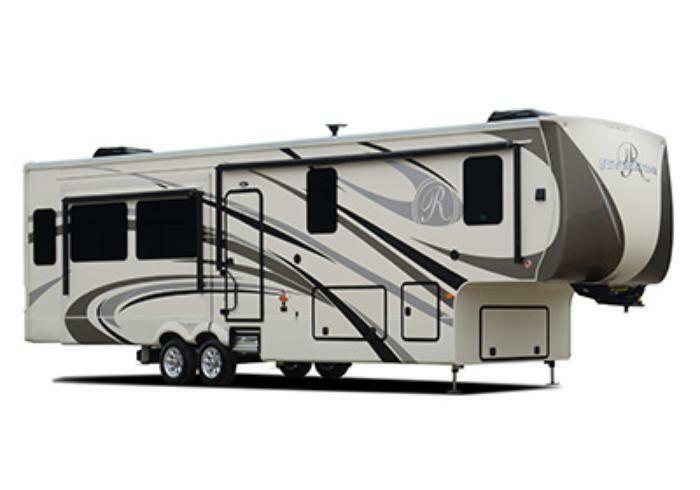 Forest River is recalling 111 model year 2016-2017 Riverstone Legacy fifth wheel recreational trailers manufactured October 7, 2016, to October 18, 2016. The spare tire and rim combination on the affected vehicles may be incompatible with the disk-brake hubs, preventing the rim from mounting flat and flush to the hub face. If an owner installs the spare wheel that was provided with the trailer, the lug nuts may fail, allowing the wheel to detach, increasing the risk of a crash. Forest River will notify owners, and dealers will replace the spare rim and tire assembly, free of charge. The recall is expected to begin December 30, 2016. Owners may contact Forest River customer service at 1-574-367-3269. Forest River's number for this recall is 70-10312016-0263.